U.S. intelligence organizations are working to build a common information technology network in the cloud as the agencies transition to a shared services strategy, Defense Systems reported Friday. Greg Slabodkin writes the Intelligence Community Information Technology Enterprise program seeks to leverage both commercial and government cloud architectures to standardize IC access to data management and analytics applications. “This is the first time ever we’ll integrate, in a single IT enterprise, the entire IC,” said Director of National Intelligence James Clapper, according to Defense News. 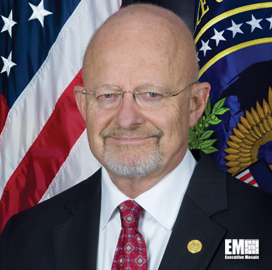 Clapper added the system will also have information sharing and security features. For its part, the National Geospatial-Intelligence Agency developed a five-year framework for establishing a GEOINT platform-as-service under the ICITE initiative, Slabodkin writes. “What NGA is focusing on within ICITE is to write applications against published APIs that come from the cloud so that the applications themselves are no longer tightly coupled with the data,” said Todd Myers, NGA senior architect, according to the publication. NGA and the Defense Intelligence Agency introduced a common desktop platform last year that is built with email, collaboration and video conferencing tools. Slabodkin reports the Joint Program Management Office is looking for a contractor to help expand the common desktop environment throughout the IC by the end of fiscal 2018.